In doing good, we are generally cold, and languid, and sluggish; and of all things afraid of being too much in the right. But theworks of malice and injustice are quite in another style. 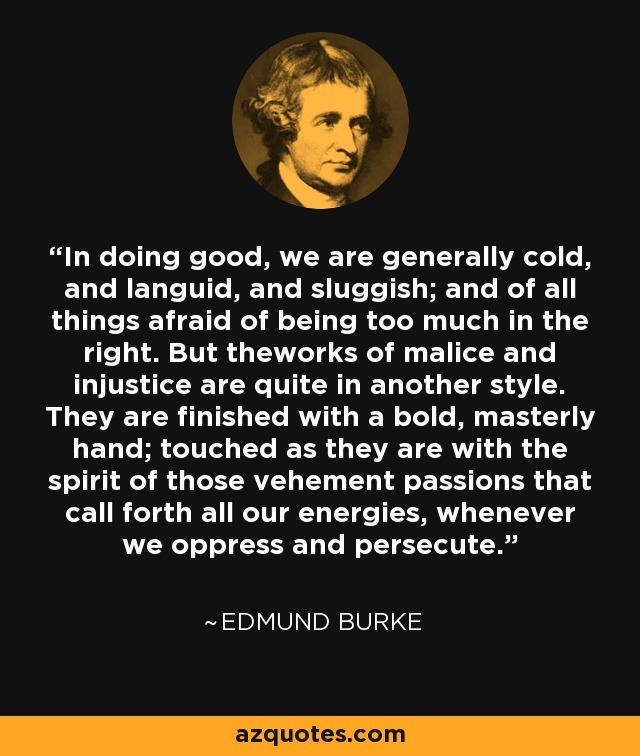 They are finished with a bold, masterly hand; touched as they are with the spirit of those vehement passions that call forth all our energies, whenever we oppress and persecute.